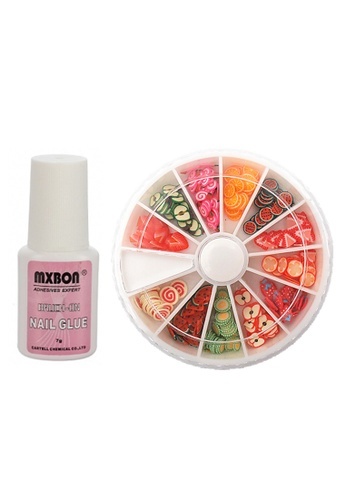 Can't find Nail Art Deco Fimo Fruit Slices + Nail Glue in your size? Care label Before put the fimo, put some nail glue on the nail. After stick on the nail, put one more layer of nail glue, wait until the nail glue dry, apply 2 more layer of top coat again, like this complete won't be drop again.